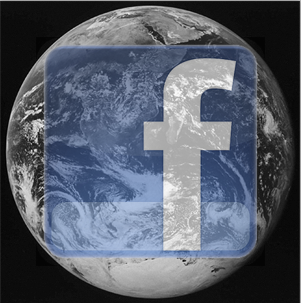 When it does launch, Facebook is going to have a massive impact on the current location based service environment. Much of this still-nascent space will change. And those that fail to evolve quickly will die. I’m singling out Foursquare because it’s currently the hottest startup in location. But many of the issues affecting Foursquare apply to other promising geo-based startups like Gowalla, and the countless others that are surely in the works. First, let’s look at Foursquare the game. 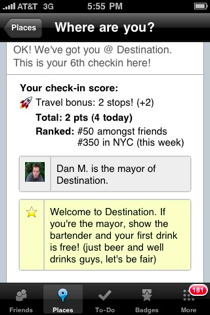 Whenever you check in on Foursquare, you’re rewarded with points and (sometimes) badges with clever names. These are fun initially, because you can easily compete with your friends for bragging rights. But while these game elements are a good way to entice users, they’re ultimately just a gimmick. In two year’s time, will any of these people seriously care about how many checkins they have? I doubt it. Certainly not enough to motivate them to check in every time they enter an establishment. If there’s one thing I’ve learned as a lifelong gamer, it’s that even the most engaging, addictive games out there get tired after a while. And Foursquare’s gameplay simply isn’t that engaging to begin with. Then there’s the social city guide element of Foursquare, which could one day be a full-fledged social recommendation feature. But right now it revolves around leaving ‘tips’ about the locations you visit. This is Foursquare’s weakest point. When I look through the tips of various restaurants they’re usually filled with things like “try the chicken noodle soup”. These are occasionally helpful, but they lack context. Most of the tips I’m seeing were left by people who I don’t know at all, and they’re too brief to be any more useful than something I can already find on Yelp. I certainly haven’t reached the point where I want to see the available Foursquare tips every time I check into a restaurant. Finally, there’s Foursquare the friend finder. The first thing you see when you boot the app is a list of where your friends have checked in recently. This is the driving force behind Foursquare’s growing popularity. There have been other services, like Loopt and Brightkite, that have let you keep tabs on your friends for quite a while. But Foursquare’s check-in model has struck a chord because it provides more context (you know what people are up to as opposed to just where they are) and a greater amount of privacy, because you have to explicitly choose to check in. The appeal of the friend finder is obvious — if you see your buddy is at a nearby bar, maybe you’ll walk over to meet him. This isn’t just a gimmick. It appeals to some fundamental human desire to hang out with people you enjoy spending time with. This will never grow old. And it’s where Facebook is poised to dominate. The most compelling part of Foursquare is the ability to see at a glance what your friends are up to. Unfortunately, most people don’t know all that many people on Foursquare yet — my current Friends List on Foursquare is dominated by folks who live and breathe tech, without a single person from my ‘regular’ social circle on the service. Twitter has always suffered from the same problem, and even a year of stellar growth and constant press attention hasn’t yet given Twitter an on ramp into mainstream use. Facebook doesn’t have that problem. 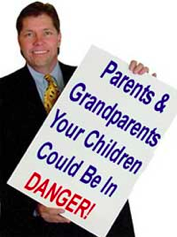 At most, there are probably a few dozen people who you’d like to share your location with. And you’re already friends with all of them on Facebook. You may even have separated them into a Friends List of “real” friends — the people you hang out with on a regular basis. And that’s why Facebook has already won the battle. Unlike Twitter, where you may be interested in following people you don’t know well, your circle of close friends on Facebook and the people with whom you’d probably like to share your location are one and the same. If Facebook really wanted to, it could probably even look at people you’re commonly tagged alongside in photos to help suggest who to include on your list of ‘location’ friends. There are plenty of other things Facebook has going for it. Facebook already has a robust system for managing privacy settings. Granted, they’re confusing as all hell, but Facebook has made it clear that it’s working on making them easier to use. And over the years millions of people have come to trust Facebook as a relatively safe service — something that is key given the sensitive nature of location. Foursquare is a looming privacy disaster. The other key component is Facebook’s ubiquity on GPS-enabled smartphones. These are essential for updating your location on the go (which is where most of geo’s utility comes from). And Facebook is already dominating here. Facebook is the most popular iPhone/iPod Touch app of all time, and it has a strong presence on other platforms as well (it comes preinstalled on Android and Palm’s WebOS). It is hard to overstate how important these advantages are for Facebook. It may not be particularly difficult for other services to implement privacy features and friends lists, or even to build nice iPhone apps. But getting people to start using them will be incredibly difficult. So it looks like it’s coming soon, but we still don’t know the direction Facebook is going to take. There are two obvious ways Facebook could treat location. It can act as a direct competitor to services like Loopt, Foursquare, and the rest by allowing you to directly check into locations from your phone or via the web. Or, it could serve as something of a central hub for location that third parties could update via an API. In other words, updating a service like Foursquare could then update your Facebook location. It seems likely that Facebook will wind up doing both. Twitter is already trying to become the central hub for geo-positioned status updates through its own API, and Facebook isn’t going to give that up without a fight. Given Facebook’s moves to bolster its other API functions, I think it’s safe to say they’ll be allowing developers to push a user’s geolocation from their service or app into Facebook. Facebook would be foolish to rely exclusively on third parties as a source of location data. Many people update their status messages and photos exclusively through Facebook.com and their official mobile applications, probably without realizing they have other options. The big question is what form this native location functionality that appears within Facebook will take. Facebook could simply allow people to geotag their status updates in the same way that Twitter does. Or it could adopt a robust location feature that more closely resembles Foursquare and Loopt. The change in the Terms of Service leaves room for both of these. Again, I think Facebook will do both. Third parties may be able to tap into this data via Facebook Connect, but they won’t own it. I don’t think Facebook is going to set out to beat Foursquare. Far from it, in fact — I think Facebook is going to readily accept geo data through its API, which makes Foursquare a great potential contributor. But if Facebook chooses to own your location and that of your friends, it will severely undermine Foursquare’s primary feature. 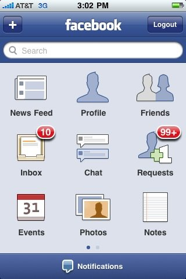 All of that said, Facebook could still mess this up. The company has been thinking of location for a very long time now, and has held off largely because of the concerns over privacy. These concerns are certainly valid. Attorneys general from multiple countries are clearly keeping their eyes on the site’s potential safety risks. In light of this scrutiny, there’s a chance that Facebook will roll out location too slowly. Or that what they do roll out will be handicapped. Given how much is at stake I don’t think they’ll let that happen, but it’s possible. If Facebook does nail geo, that doesn’t necessarily mean Foursquare is doomed. It just means that Foursquare needs to build a product whose core value extends beyond showing where your friends are. That’s why I think its social city guide is probably the best thing it has going for it. It may be lacking now, but if Foursquare can build out a compelling recommendation engine that introduces you to new people to meet and places to see based on your past checkin history, it could be very cool. It could also continue building out its gaming elements to keep them fresh. Looking forward, services like SimpleGeo and GeoAPI will be able to help apps integrate location very quickly. Facebook is going to own the social graph, but there’s plenty that can still be done beyond that. Games. Dating apps. Hyper-local advertising. These all have very bright futures. They’ll just need to figure out how to use location as a starting point, rather than a core feature.